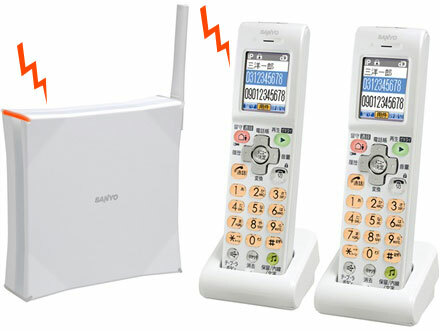 A new fixed-line phone from Sanyo uses an internet connection to receive and announce earthquake warnings. The digital phone sounds an alert when a quake warning is issued by the Japan Meteorological Agency. The phone system can also send emails of the quake warnings, and the handsets have a built-in flashlight. The phones come with a wireless LAN terminal. An internet provider utilizing IPv6 is required. Read the details of the phone functions and email options.